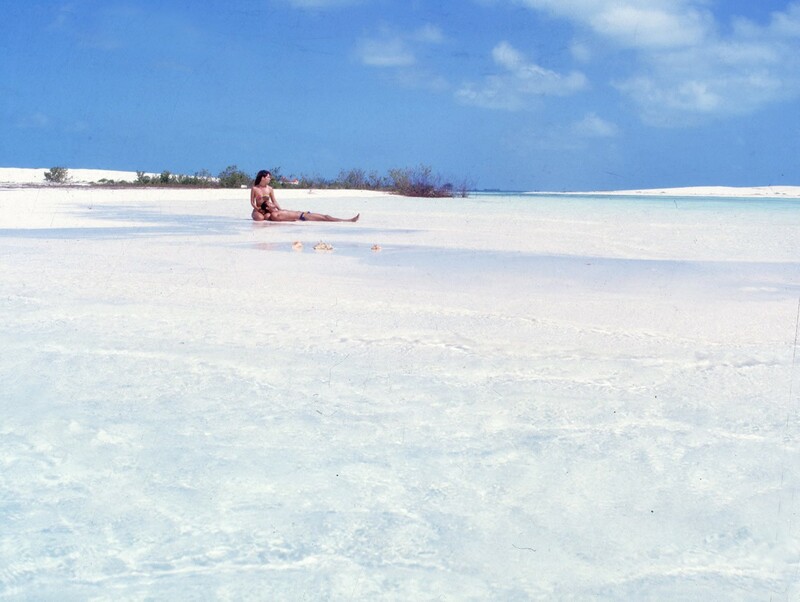 Cayo Largo is located in the middle of the Caribbean Sea, in the eastern end of Los Canarreos Archipelago, covering an area of 37 square kilometers. 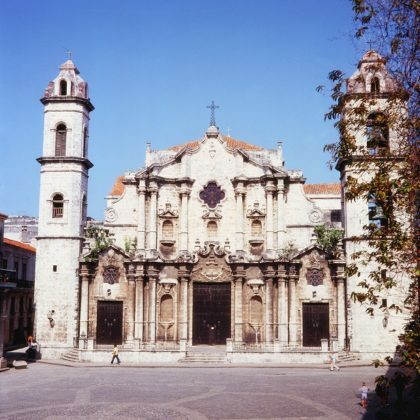 The islet is 135 kilometers from Nueva Gerona (Isla de la Juventud) and 177 kilometers from the City of Havana. 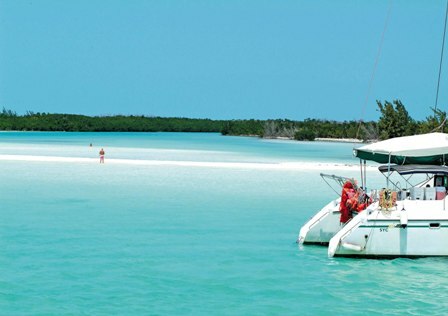 The name of Cayo Largo comes from its long shape, and its history dates from the aboriginal period, since remains and artifacts from the Siboney culture have been found on the islet. Admiral Christopher Columbus landed on Cayo Largo in 1494, and many corsairs and pirates turned the islet into their base of operations in the Caribbean Sea. Visitors can enjoy a refreshing swim and a tropical tan at such beaches as Sirena, which is two kilometers long; Lindamar, which looks like a shell, Paraíso and Los Cocos. Cayo Largo is considered one of the best diving spots, characterized by beautiful coral reefs in shallow waters and great fishing is available all year around. As the names suggest, these beaches are extraordinary in every way. Deep, ghost white sand surrounded by crystal clear water. 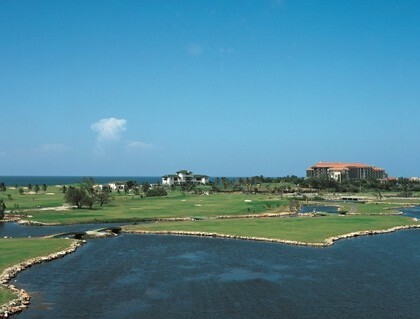 Neither beach has any hotels as they are maintained in a natural state as part of a nature preserve. Paraiso’s name is well deserved (“paradise beach”). 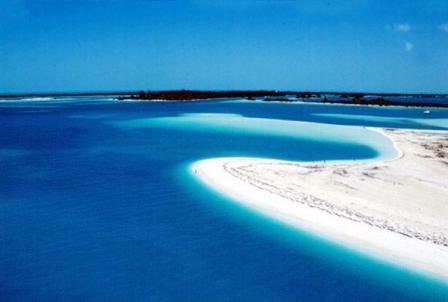 Its waters are shallow and calm and you can walk for hundreds of meters out to sea in warm waist deep perfect blue. Playa Sirena is connected to Playa Paraiso and is the larger of the two. The beach is sheltered and the water is calm. There are more umbrellas available at the Sirena than at the Paraiso. Getting to both beaches in the early morning is recommended to guarantee getting a chair, this is especially so at the Paraiso. 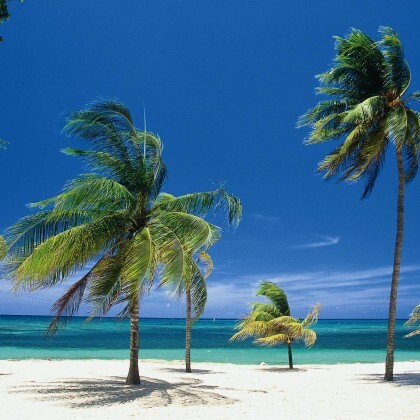 Non- motorized water sports such as wind surfing and sailing are available from the beach at no charge. It is located in the near the isle of youth in a submarine platform of the southwest of the country, in an area of 17 924 hectares. 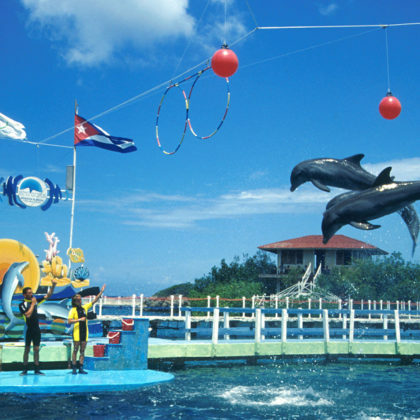 Its bottoms have an extraordinary beauty and it hosts a practically virgin coral reef system where you can see the several kinds of coral, caves and an abundant marine flora and fauna. The beginning of the season from November to January is very good, with plenty of bonefish (especially big ones) on the flats and mangrove areas. Fishing for tarpon and other species can also be excellent. 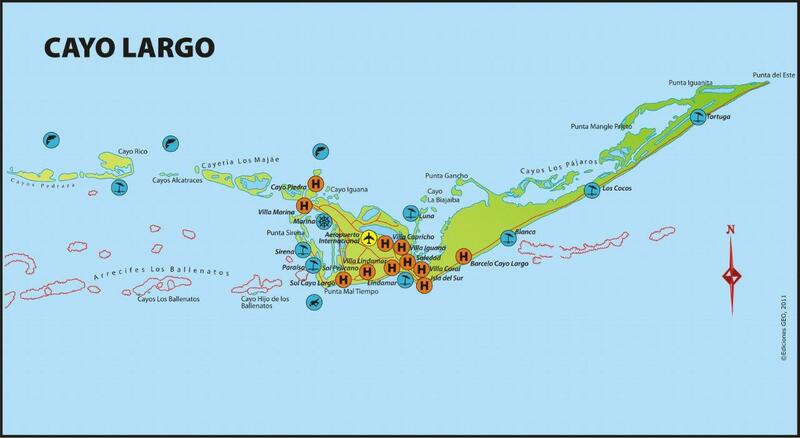 This is a really nice time frame to plan a trip to Cayo Largo, as the weather is much warmer in Cuba than in Europe or Northern America. Peak fishing season is from February to June, when all species are present in the area. Tarpon, bones, permit and jack will all be encountered during these months. The migratory tarpon, up to 800/100lbs (average 15/30lbs) are regularly spotted and shots at permit are very frequent. Our peak season is the best time to try the Gland Slam. Numerous Grand Slams are achieved each season as well as a few Super Grand Slams (Tarpon, Bonefish, Permit and Snook). In the late season the weather gets hot but the fishing is still very productive, especially for tarpon and permit. Fishing for bonefish is also very good in the morning and in the evening. A very surprising summer phenomenon: that the same number of fish are caught during the hot months, but by half the number of rods.